2000 Winner: Best Children's Book - Coalition of Visionary Retailers. In the first book in Jody's Dragonfire Series, a gentle prince & an angry, fire-breathing dragon are born on the same day & share a unique destiny. Here, animals talk, dragons fly, and kings must be made. 2003 Winner: Best Children's Picture Book - Coalition of Visionary Retailers. 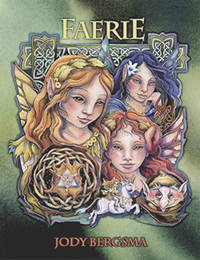 2003 Winner: Best Children's Book - Coalition of Visionary Retailers. The third book in Jody's Dragonfire Series, in which the Faerie Queen of Nagala sends her subjects to the land of Lugin to avert a growing disaster through an encounter with the Queen of Goblins. 2001 Winner: Best Children's Picture Book - Coalition of Visionary Retailers. 2001 Winner: Best Color Cover - Northwest Association of Book Publishers. 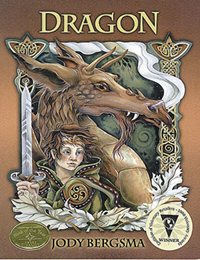 The second book in Jody's Dragonfire Series follows the adventures of a young boy on a perilous quest to save his mother's life. 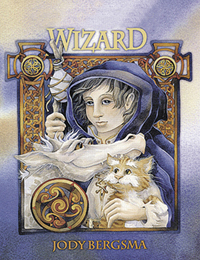 Disguised as a wizard, he travels to the Royal City, accompanied by Thomas, his dancing cat, and Graystone, an endearing dragon.